"On February 21, 2018, God called Billy Graham home at age 99. Mr. Graham once said, "When we reach the end of our earthly journey, we will have just begun." Now, he is in the presence of the Lord. Watch and share this tribute to his life and legacy. You can also follow updates at BillyGrahamMemorial.org. Thank you for your thoughts and prayers." was admired by my Father as a Christian who preached the Word, "plus and minus nothing else," as Dad would say. After I entered full-time ministry, he always encouraged me to "give a Billy Graham invitation;" in other words, one that was not weak or watered down. Dad worked with him during one of his early "Youth for Christ" crusades in Portsmouth, Virginia, before becoming pastor of South Norfolk Baptist Church, and I had one occasion to meet him personally after a Duke University chapel service. 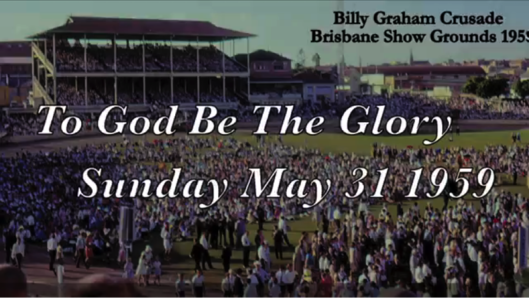 Every year at South Norfolk, Dad would invite the Billy Graham Evangelistic Association to come and screen one of their current Christian films, at no cost to the church. Many times we would watch Rev. Graham preach at one of his crusades on television. I remember one occasion that, while the hymn of invitation was being sung, Mother began to cry. She told me she was crying tears of joy at seeing so many folks come forward to accept Christ as their Saviour. In her prayer life, she would always pray, that Dad would "have souls for his hire." In other words, it was an old way of saying, that Dad would be used of the Holy Spirit, to lead folks to Jesus in his work for the Lord; that salary had nothing to do with his dedication to Him. I know that he never asked for a raise in all the years he was at South Norfolk Baptist. We need more preachers today who will preach the Word without adding or subtracting from it. This is the answer to everyone posting on websites, that Billy Graham denies Christ. Is Billy Graham's Death A Prophetic Sign?.......the latest heresy debunked. What's the Point of Billy Graham's Ministry? "God Has a Dream for You" Says Rick Warren. The folks at "Fighting for the Faith" recently discovered that Saddleback Church had a service where Rick Warren was teaching the importance of "choosing the right team for your dream." Mention was made of Billy Graham's ministry, since he had just recently died. 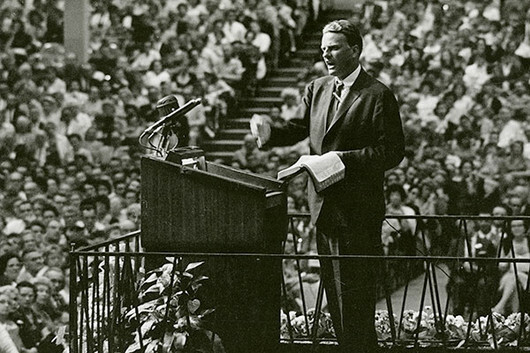 After the last video montage about Billy Graham played, Rick Warren told his audience the importance of "fulfilling your dream-just like Billy Graham." After just a minute of his pep talk, he tells everyone to listen to message of the next song. 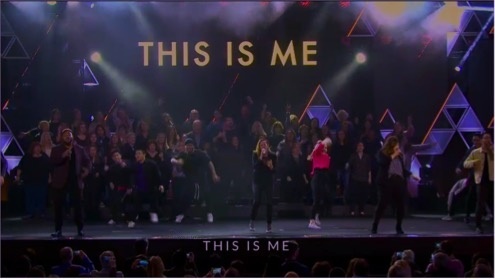 The worship team then performs the pop song "This Is Me," which Billboard Magazine describes as: "a beautifully uplifting tribute to self-acceptance and self-love." It sounds like Warren had listened to an episode of Fighting for the Faith and did the exact opposite of everything that was said: "How NOT to Shipwreck Your Faith," posted on a separate web page. Rick Warren is a leader of the seeker-friendly takeover of Evangelicalism. One Man. One Purpose. One Message.